Heat soak is a known problem with the stock front mount BMW turbo intercoolers, VRSF 5” stepped core FMIC is a direct bolt-on ( no trimming required) that will allow your car to perform better by keeping intake air temperature low (IAT). 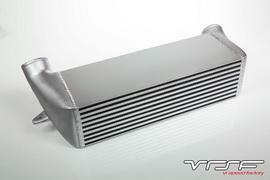 VRSF 5” front mount intercooler for the 135 and 335 is guaranteed to fit without any problems. •	The core is the most important part about any intercooler. This is where the air gets cooled down before entering the engine. The stock front mount intercooler does not provide enough cooling which causes the air intake temperature to rise and the ECU to drop the boost targets. Result of lower boost targets is less power. When you replace the stock FMIC with the VRSF N54/N55 5” front mount intercooler, you can be sure that your 135, 335 BMW will always be putting out maximum power. The VRSF FMIC has custom bar and plate design which ensures low IAT and minimum pressure drop. 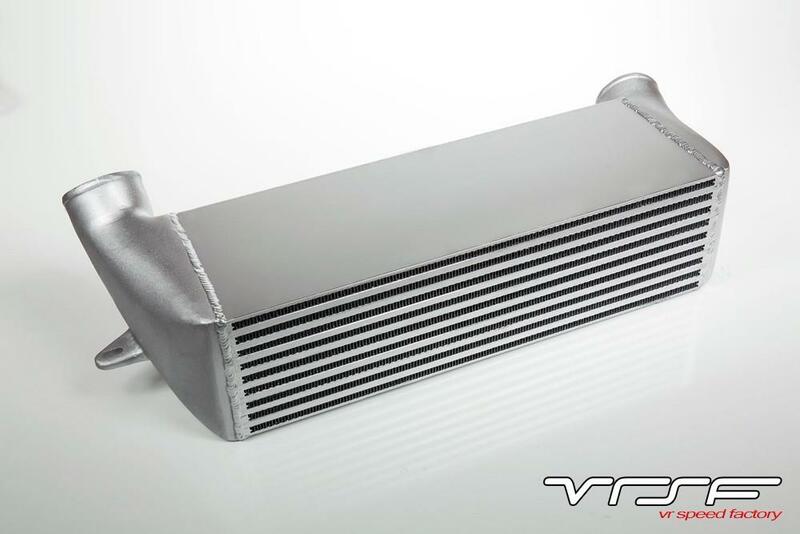 •	Every VRSF 5” N54 and N55 intercooler has a bright silver finish to help protect against corrosions. The VRSF 5” 135 and 335 FMIC comes with a lifetime warranty. 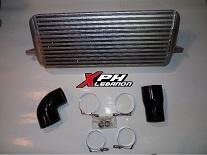 You can be sure that this is the last intercooler you will be installing on your car. 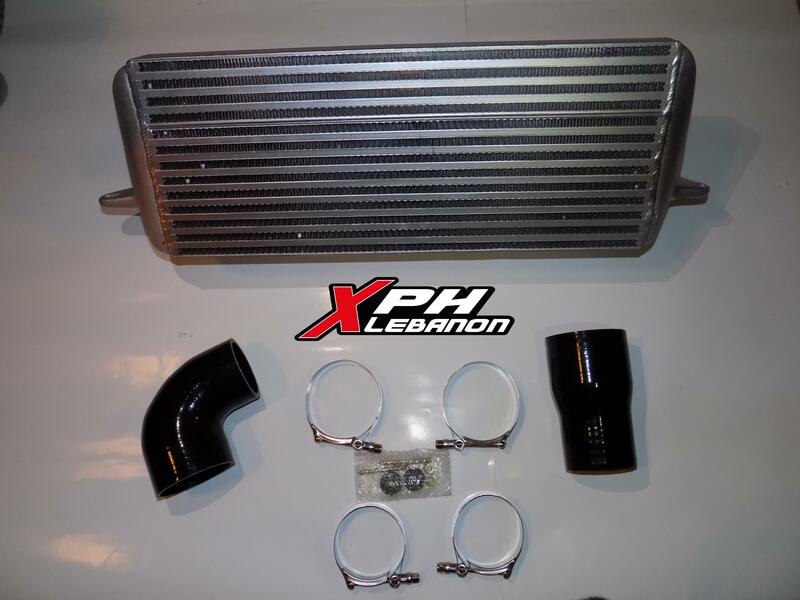 •	All the materials required to install the VRSF 5” stepped core N54 and N55 intercooler are included in the Box. The 5” design requires minimal to no trimming to be installed. This unit is completely plug and play. •	Dimensions: 5" - 20x8x5"